Welcome to Airco Centre of Excellence – an innovative and forward thinking training provider where quality is at the heart of everything we do. The team have substantial experience, skills and expertise and are committed to providing you with a high class memorable service to inspire and promote lifelong learning to all. We offer regulated nationally recognised qualifications and are consistently striving to be outstanding in everything we deliver. We promote learning from cradle to grave as we believe no one is too old to learn. Airco Centre of Excellence is the training provider with a heart! We fully understand the difficulty of putting staff on courses that not only cost money but cost time to the business. We want to work with you to ensure minimal impact to business whilst developing your teams to be more productive, cost effective and motivated. We will provide flexibility in order to best support your needs. We will spend time with you to fully understand your business needs before offering information, advice and guidance. We are here to help and support your business growth and get the best out of your workforce. Training can be delivered within our state of the art training centre or alternatively on your site, depending on what training you require. We are a registered training organisation and provide full nationally recognised qualifications. Please see enclosed course information. Karl has led a varied career serving in the British Army for 24 years within the Royal Corps of Transport and Royal Logistics Corps. During this period Karl attended a number of job roles which included; Communications Specialist, Logistics Manager and Senior Instructor. Since leaving the army Karl has spent over 9 years delivering and managing logistic apprenticeships, transport management, Driver CPC, Hazardous Materials (ADR) training and various elements of Health and Safety which include Manual Handling, First Aid, Risk Assessments and Fire Safety. 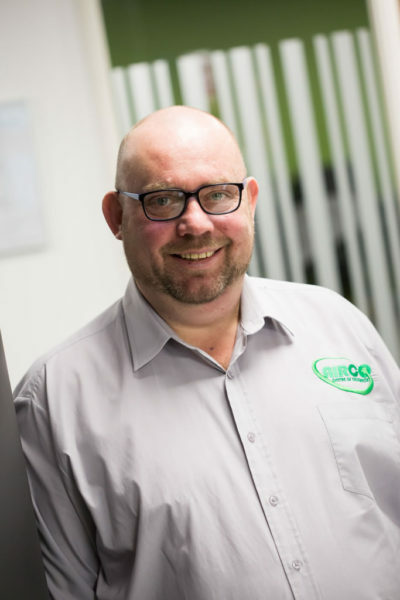 Subsequently when joining Airco Centre of Excellence Karl has continued with the delivery of Health and Safety courses and has assisted with the delivery of the Access to Building Services (engineering) training along with leading on Maths delivery. Karl has over 30 years training experience and holds the following teaching qualifications Certificate in Education, A1 assessor and V1 internal verifier (IQA). He also holds accredited teaching status with a number of awarding organisations which include Qualsafe, SQA and OCR. In addition to his wealth of training experience he has a number of additional qualifications which include ILM Level 5 Management, National and International Transport Management and IOSH Managing Safely. 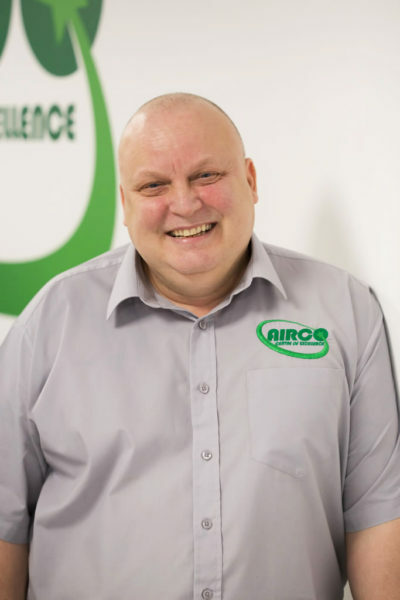 Karl consistently strives for outstanding in all aspects of delivery and his main focus at Airco Centre of Excellence is to train colleagues from industry. Karl has an excellent understanding of how training delivery needs to be flexible in order to meet business demands whilst at the same time businesses need to have a good well trained workforce in order to develop their business. He is an all-round team player and promotes team work across the board. A good teacher is like a candle – it consumes itself to light the way for others! Jane has over 18 years’ experience within the world of Education and Training. 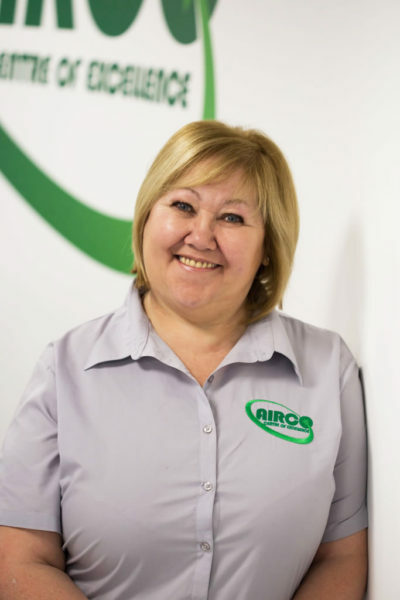 She currently oversees the Admin Team at Airco Centre of Excellence and is consistently striving for outstanding in all areas. Jane is instrumental in improving processes to ensure they are flawless and easy to understand. She ensures all compliance is adhered to and is a training providers dream. She is a brilliant team player and can always be relied upon to help and support others. All our learners love to have a chat with Jane as she provides a warm, welcoming and friendly environment which encourages everyone to feel part of something quite special. Jane genuinely cares about others and that shines through. In the short space of time working for Airco Centre of Excellence she feels we have achieved so much and she has very high hopes for the future. Jane wants us to be a Training Centre that is known nationally as ‘The Centre of Excellence’, where everyone talks positively about and is made to feel welcome. Jane feels if you come to the training centre once you will want to come every day! She wants it to be a place where people realise their potential and find it in themselves to chase their dreams. We call her ‘Amazing Jane’! People forget what you say, and what you do, but will never forget how you made them feel! Julie began her professional teaching career in Hull and has worked in a variety of schools and roles. She holds the National Qualification for Head teachers and her specialism is in the field of Complex and Special Educational Needs. She promotes lifelong learning to all and although her main focus is teaching aged 16 – 18 year olds she has a proven track record of leading teaching staff to success. Her passion has and continues to be the care, welfare and empowerment of young people, as Julie strongly believes it is only equality of educational opportunity that can increase life chances. Julie is an innovative thinker and is constantly pushing herself to do the best for her learners. 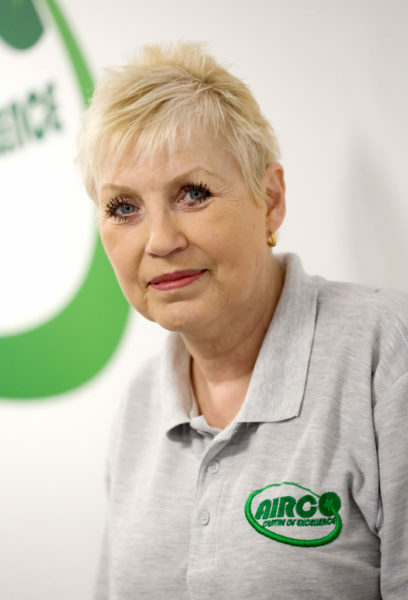 Julie is a STEM (Science, Technology, Engineering and Maths) Ambassador for Airco Centre of Excellence engaging with schools across Yorkshire and Humber and is a great advocate of all these subjects. She consistently delivers high quality training sessions ensuring learners are stretched and challenged in every session. She is a great team player and supports the team wherever she can. Her main role is to lead on the schools developments as she is the main contact for schools ensuring Airco Centre of Excellence support the core curriculum and we deliver appropriate, relevant and quality sessions to enhance schools to progress the learners. Julie also promotes ‘Women into Manufacturing and Engineering (Wime)’ subjects and roles. Be who you are and say what you feel, because those who mind don’t matter and those who matter don’t mind! Darren has over 17 years’ experience in the world of Business, Education and Training. His Business experience includes developing and managing a unique recruitment agency, developing international sales for a shipping company along with general office management. He has excellent skills, knowledge and expertise within Community Learning and the Justice sector. Darren thrives on implementing new technologies in teaching practice and enabling learners to achieve using some unique methods of assessment. He is a qualified teacher, assessor and internal quality assurer and specialises in Business Administration, Customer Service, Employability along with English and ICT. He is committed to Continuous Professional Development (CPD) and is a real team player consistently supporting his peers to be the best by delivering Master Classes to his colleagues as part of their CPD. Darren is the second in command as the Safeguarding Officer for Airco Centre of Excellence ensuring we provide a safe and secure environment. Having studied and achieved the BA (Hons) in Education and Professional Development, Darren is now studying for his Masters in Action Research for Education. This demonstrates Darren’s on-going commitment to lifelong learning. You only fail when you stop trying! 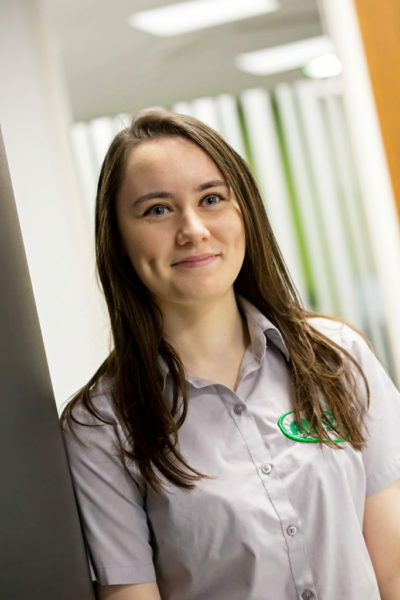 After recently completing her A-Levels Lauren is now pursuing a Business Administration career with Airco Centre of Excellence and has started that journey through the apprenticeship route. Lauren is thoroughly enjoying her role and after a short period of time has proved to be an integral part of the Administration Team. She would love to progress down the route of Administration and continue this as her career as she finds it very interesting and enjoyable. Lauren loves working at Airco Centre of Excellence as she has already been given lots of great opportunities which have helped her to increase her confidence and the ‘fab team’ have helped her to settle in. Airco Centre of Excellence have high hopes for Lauren as she is organised, has an eye for detail and brings new and fresh ideas to the team. Lauren is not afraid of hard work and is a positive role model to all. Lauren attends schools events and promotes the Airco Centre of Excellence in a professional manner at all times. Lauren is an excellent advocate of how an apprenticeship route can be the start of a long and successful career. Think positive and positive things will come to you!